and a shared working area and fitness room available to its users. 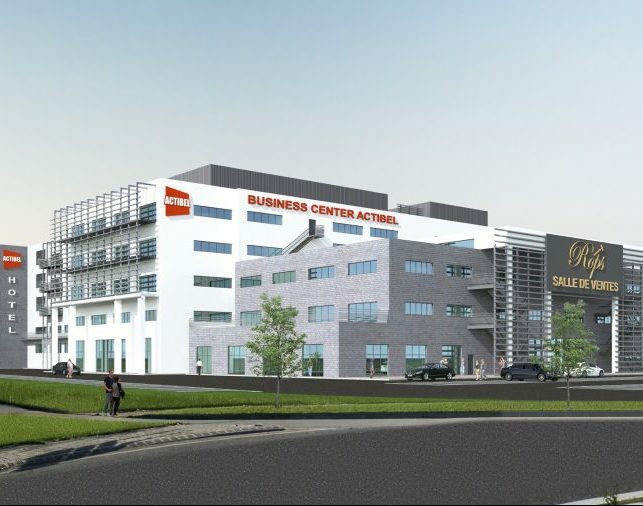 Such a building complex will be an undeniable magnet for drawing new businesses to Namur. The office spaces will be available, for reasonable rents, starting in 2018. Calls are already being taken, so don’t delay! The complex was designed to abide by the environmental guidelines of the Ecolys® business park (energy savings, generation of renewable energy, wastewater recovery, mobility alternatives, slow food and short chains, etc.) and incarnates the will to increase the workers’ well-being, to enable them to dispose of pleasant venues for coming together and participating in a positive atmosphere, and so on. This project will doubtless give a real boost to the dynamism of Ecolys® and, more broadly, to Namur and “winning” Wallonia. Actibel is an overarching structure for activities in various real estate sector segments: sales and rentals of real property, appraisals and consulting, real estate investment, real estate promotion (new construction and renovation) of residential, office, and commercial premises in downtown Namur and on the city’s outskirts, rental property management, asset management, and so on. The group thus wanted to bring all its subsidiaries together on one site, as well as the Rops auction house, which is well known to the inhabitants of Namur and auctioneering professionals in Europe and worldwide.